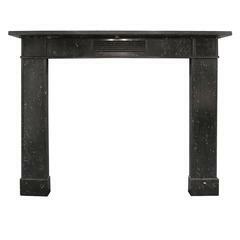 A black Kilkenny marble fireplace surround. 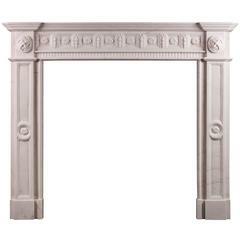 This fireplace is in the early 19th century Irish Regency style. 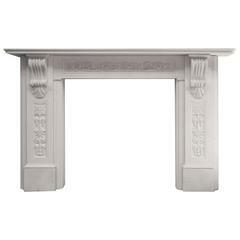 It has cushion moulded panels running into corbels, tapering aperture and a deep moulded shelf. A design which was popular in Ireland between 1830 and 1860, that today has a contemporary feel to it. 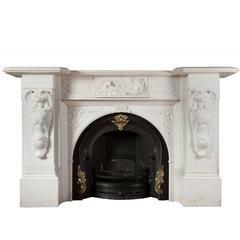 An impressive English made white Italian statuary marble fireplace mantel. 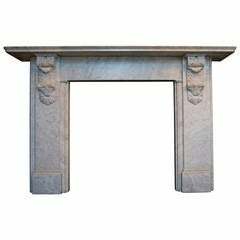 Hand-carved corbels with detailed recessed panels on jambs and frieze.